This past October, Kawartha Lakes artist and exhibit designer, Penni Holdham installed her latest commissioned work. 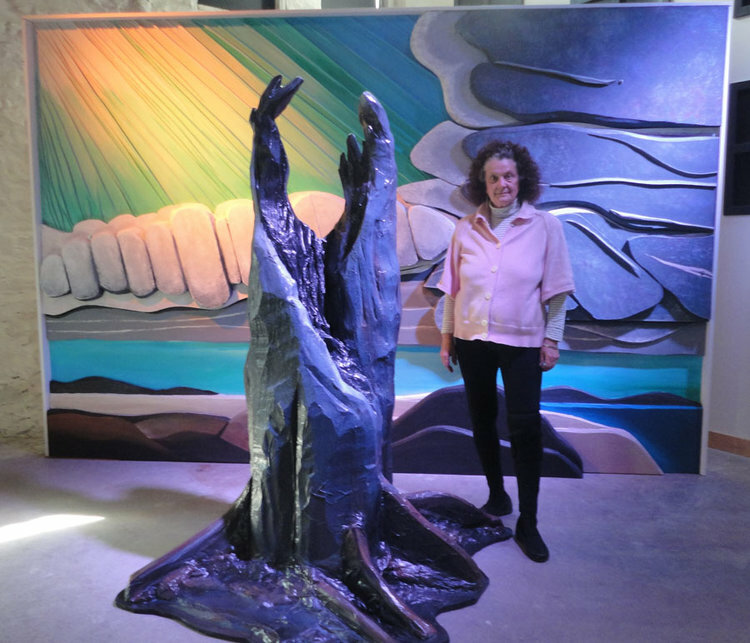 Installed in celebration of the work of Group of Seven artist - Lawren Harris- who was featured at the 2016 Algoma Fall Festival, Holdham created a 3-D interpretation of 'The Old Stump' painted by Lawren Harris in 1920. The original work was roughly 16" by 20". Holdham - inspired by the depth of perspective and the fresh crisp colours of Harris' work, created her exhibit piece 8' tall by 12' wide. Her work- 'Old Stump Revisited' was created with a wide range of mixed materials including Wood, Styro foam, papier mache and artistic painting. The rear wall, roughly 6" thick provided the perfect background for an all-round hand-crafted Stump which was 7' tall.